My love for savoury bread rolls pulled me to give a try to this damn cute looking crescent dinner rolls. One more vegan dinner rolls from my kitchen. 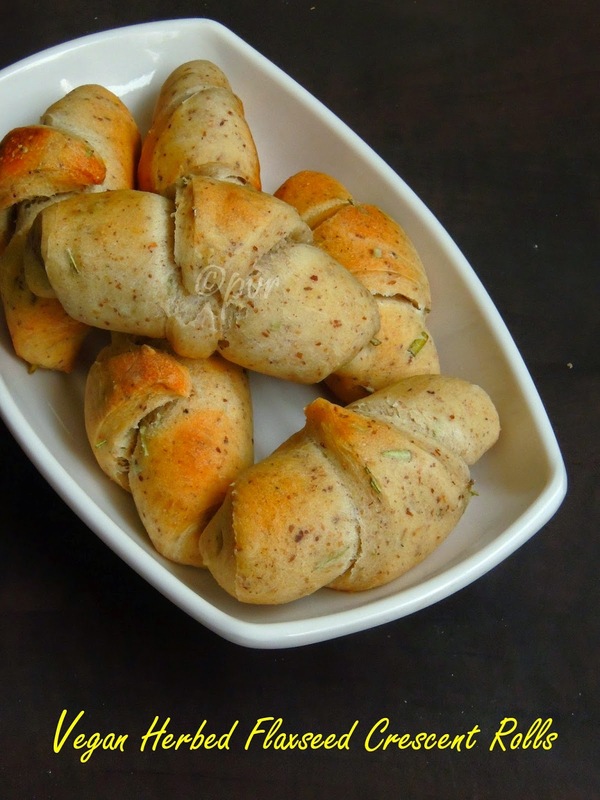 This cute dinner rolls goes awesome to serve along with a bowl of soup or else simply as accompaniment to serve along with different dips and salads. However this dinner rolls are very much easy to make and trust me you wont regret making them at home as they are loaded with flaxseed meal. Most of my recent bakes will definitely have flaxmeal or flaxseeds, i couldnt stop myself adding them just to increase the fibre content in my bakes. Hence i can feed easily my family with this healthy seeds. Baking bread at home is quite a routine now eventhough with my busy schedule, i love to mix and match the ingredients available in my pantry especially while doing my breads or dinner rolls at home. 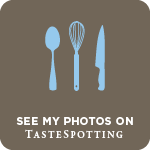 Obviously my today's post is among those trials which i couldnt stop myself experimenting with various healthy stuffs sitting for a while in my pantry. 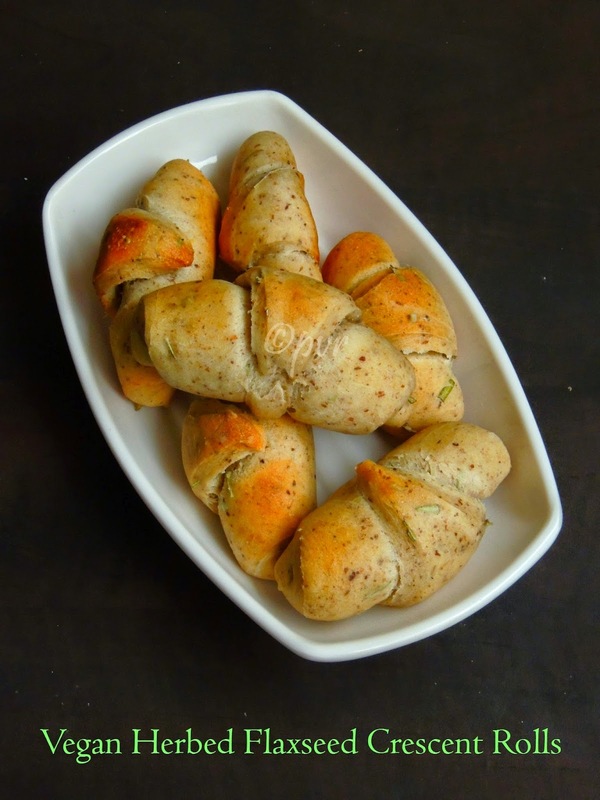 I used fresh rosemary sprigs and dried thyme leaves as herbs in this crescent rolls, instead of adding whole flaxseeds while making the dough i just grounded them as coarse powder and added it to the dough so that none will notice the addition of flax seeds. Not to forget that these crescent rolls are eggless,butterless and definitely vegan. This cute looking crecent rolls are my 20th post of this month's long blogging marathon as am running with other marathoners with baking as theme. In a bowl, mix the yeast with warm water,sugar and salt, let it stand for 5minutes until the yeast turns foamy. Now take the the flour ,wheat bran, grounded flaxseeds,rosemary sprigs,dried thyme leaves in a bowl. Slowly add the olive oil, foamy yeast and knead as a stiff dough. Punch down and divide the dough as two equal balls.Roll each dough balls as circle, cut each circle into 8 medium sized wedges. Preheat the oven to 350F and bake for 15-20 minutes or until the crust turns golden brown. Enjoy with your favourite spread or soup. Thanks for showing how easily the dinner rolls could be so easily prepared. Excellent preparation. OMG!!! that is sooo good!! would love to enjoy this with soup!! I was just reading up on wheat bran in baking and here you are already with a bake :) These rolls look tempting. Love the way the specks of herbs on the rolls. Delicious and healthy rolls. so many crescent roll recipes this Baking BM ! bookmarking this too ! Crescent rolls look so delicious Priya. 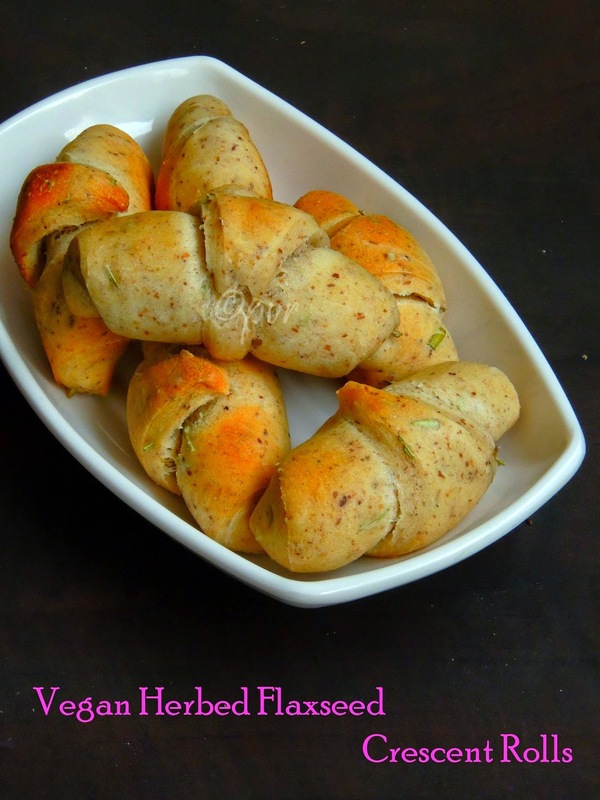 Nice and delicious looking crescent shared rolls..love the addition of herbs and flax seed.. They look so beautuful with the herbs peeking. These would be perfect with a bowl of soup! Flavorsome rolls priya, i would love to pair these cuties with a bowl of soup! !